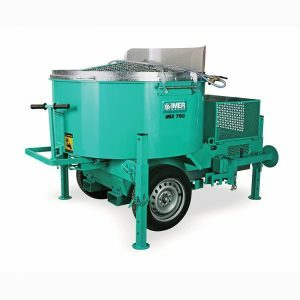 The Mortar Mixers are powerful and versatile, they can batch some of the most difficult products. Both traditional and pre-mixed materials pose no problem thanks to its high power, increased speed, and reversable paddles. 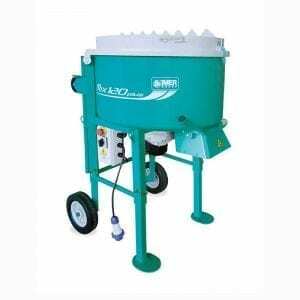 The planetary mixing system utilized by our mortar mixers is considerably time-saving. 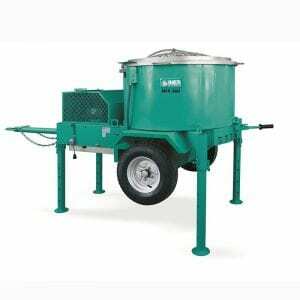 Our Imer mixers can also mix a broad range of both dry and wet materials (with low or high viscosity). Productivity is further enhanced by the paddle cover head, which distributes the material evenly inside the drum. For operator safety, an electric device prevents rotation of the paddles when the drum grid is raised. The no-volt coil prevents the machine from starting again inadvertently after a power failure. Moving mechanical parts are protected against accidental contact.